Valet parking available adjacent to our front entrance on Union Street. 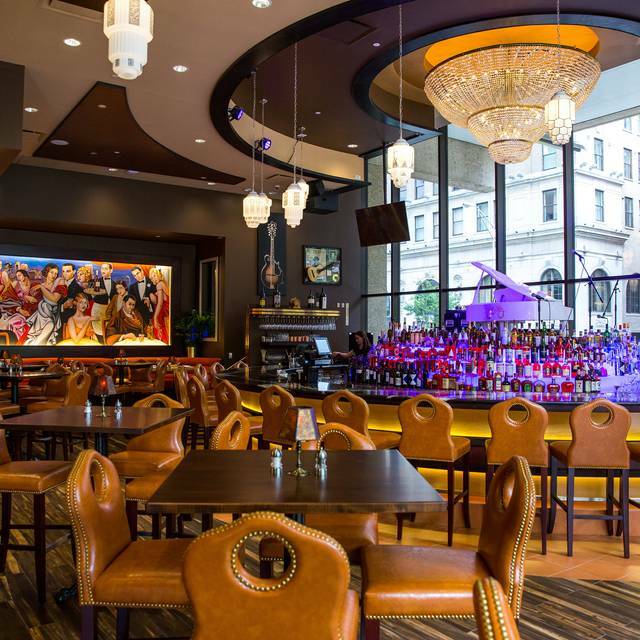 Jeff Ruby's Steakhouse, Nashville features live nightly entertainment ranging from country & blues, to rock, oldies, pop and more. 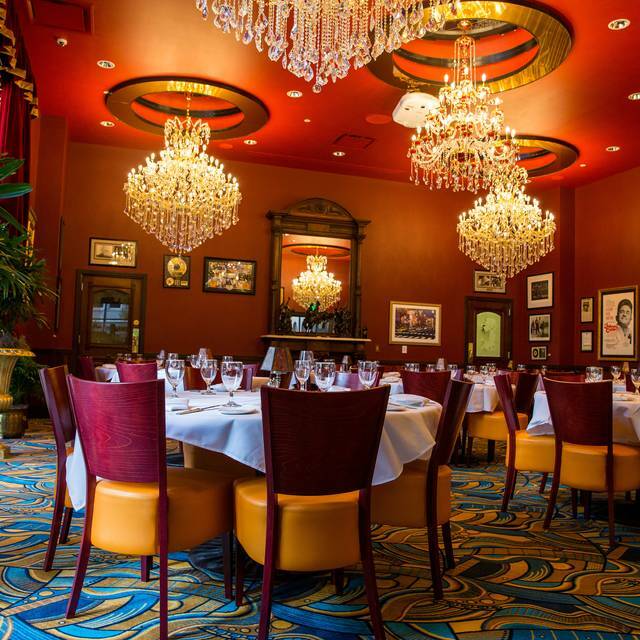 Jeff Ruby's Steakhouse is Nashville's go-to Private Dining partner. We offer elegant accommodations for receptions, banquets, rehearsal dinners, corporate events and more. Please call for full details. 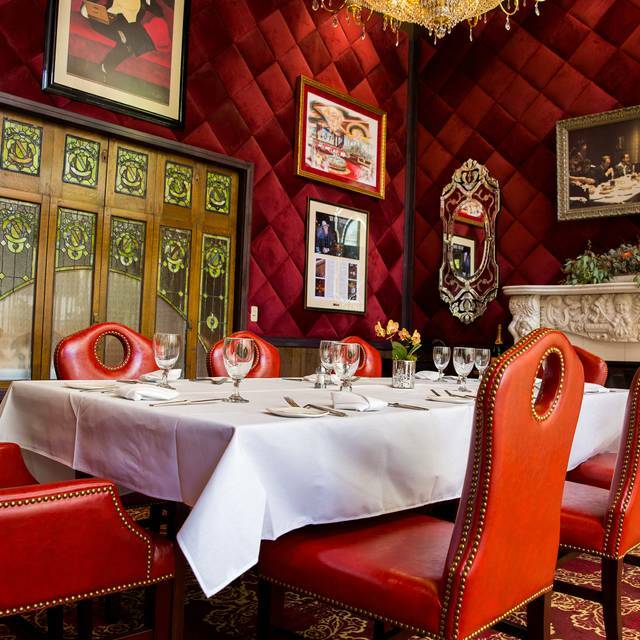 The flagship brand of his growing, family of eponymous eateries, Jeff Ruby’s Steakhouse tells the story of his life. 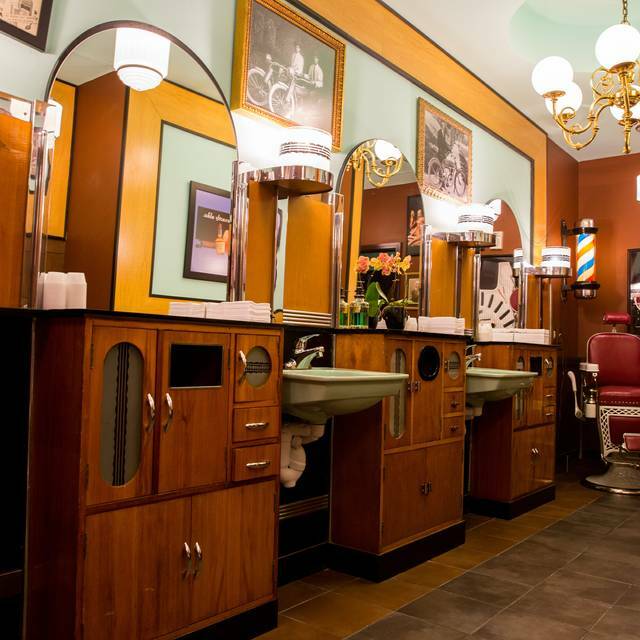 From the opulent interiors to the artwork & antique furnishings to the sign on the original Cincinnati location that reads “Since 1948” (the year Ruby was born), every facet has a special meaning to the man himself. Now open in Nashville, TN, each iteration of these critically-acclaimed restaurants is rooted in the heritage of the original, yet each also tells a tale of its own, inextricably woven into the unique fabric of the community in which it resides. 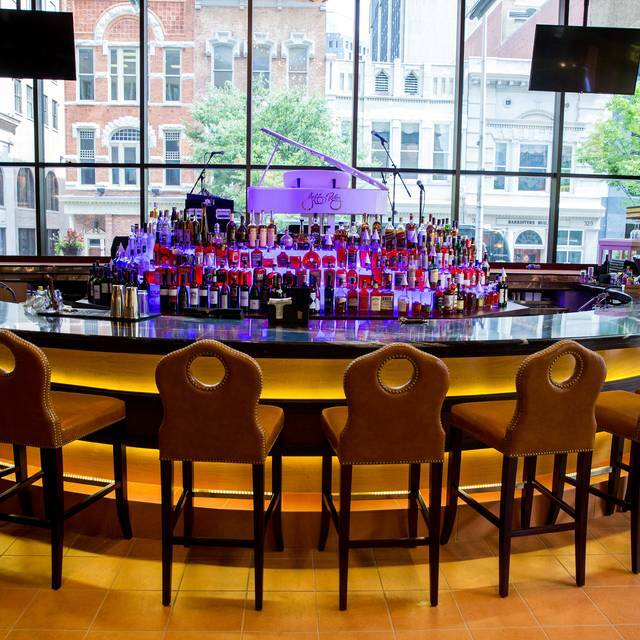 The most noteworthy element of the brand – and undeniably the key to its success – is The Jeff Ruby Experience, an all-encompassing philosophy embodying the very best U.S.D.A. 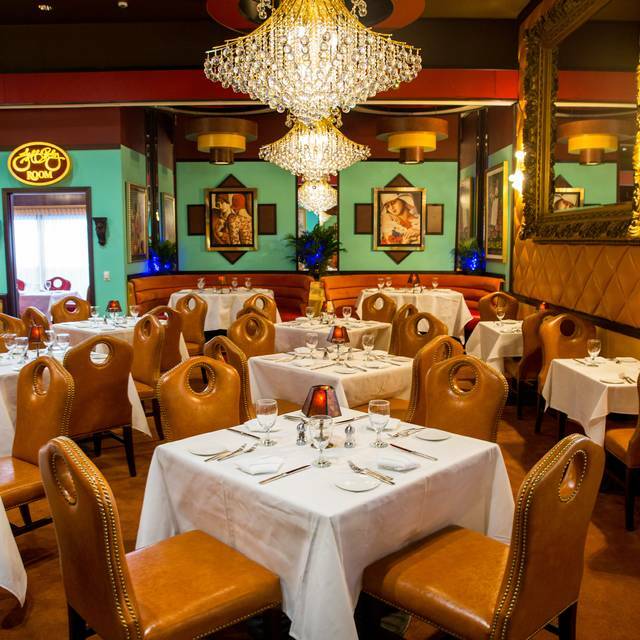 Steaks, Fresh Seafood, Impeccable Service, Live Entertainment and Passionate Attention To Detail. These qualities and more create a total dining experience unlike any other. An experience we’re proud to bring to the great city of Nashville. Birthday celebration. Food was outstanding and the service was fabulous! Is literally perfect a good enough review?! All six of us had a fantastic meal and desserts. And my husband thought the piano player looked like if the god Thor and Jesus made a baby and he was a superb piano player! It was our first wedding anniversary and they spared no expense! Everything was amazing from start to finish! Wonderful! Beautiful, clean, delicious. 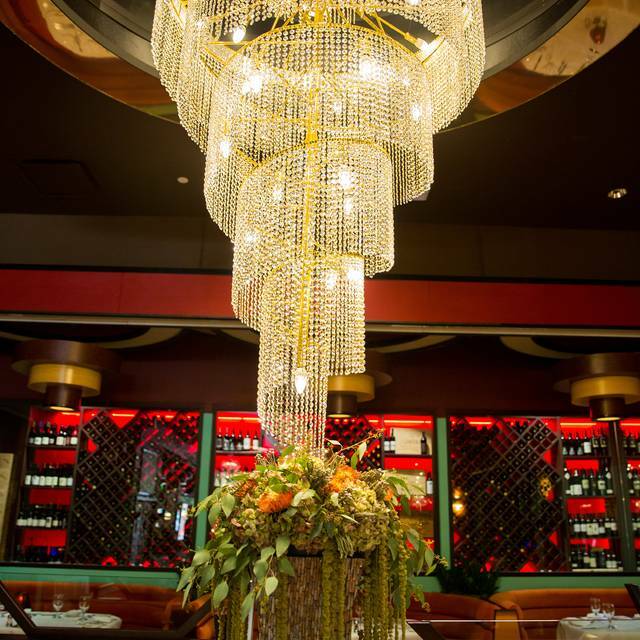 Dazzling chandeliers, red velvet chairs, servers in their white dinner jackets take such good care of you. Live music was great. Scallops were so yummy. Our table was in the corner and not ideal, but that is my only negative. Women’s bathroom is over the top with available hairspray, perfume, etc. A can’t-miss Nashville experience! The atmosphere is steak house elegant and the service is excellent. The food was delicious and came out exactly as ordered. They have no problem with people sharing orders. Excellent place. We will definitely return. The food was fabulous and the service was too! Clayton and Jonahy were assigned to us and took great care of us. Clayton explained the menu in detail giving us suggestions and answering all our questions. Jonahy made sure we wanted for nothing 😊. Their service was impeccable! We also asked to meet with the Sommelier, as we wanted a few bottles of wine with dinner. Steven, who is also the General Manager, came to visit the table. Let me preface what I’m about to say with “we LOVE wine” and love talking about wine and Steven did not disappoint with his extensive knowledge of both wine and Jeff Ruby’s wine cellar. We gave him a price range and discussed our tastes and throughout the meal he brought us exactly what we were searching for! He’s a gem for sure. We started the meal with the complimentary sourdough bread along with both unsalted and truffle butter. If you like truffles, OH.MY.GOODNESS. this is the best butter you’ll ever taste! We decided to split a salad, the Freddie, which is Romaine, Roma tomatoes, smoked bacon and ranch dressing. We didn’t realize it was a chopped salad in the way it was presented, but it was delicious, and the bacon was smoky and yummy! We then shared the 22oz Cowboy Steak, which is a dry-aged bone-in ribeye. As much as we really wanted to love this steak, it was too charred on the outside for our liking. However, that is just our dislike of char, not that the restaurant did anything wrong. Next time we’ll ask to have it prepared differently as we just couldn’t eat much of it. What we did eat though was very flavor packed. We also shared a pound of King crab chilled, which came with a creamy sauce on the side, which brought out the sweetness of the crab. The staff made sure my husband had a happy birthday dessert as well, which was very thoughtful. We then moved to the outside patio where my husband enjoyed a 21-year-old rare scotch along with a cigar. Incredible meal and service...impeccable to be honest! GO! It was great! Donovan and Janae were wonderful! 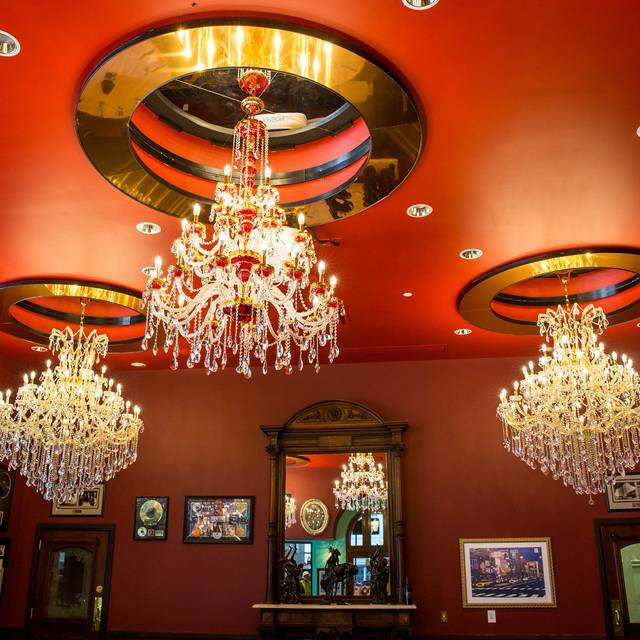 Have been to Jeff Ruby’s many times when on vacation in Nashville & it’s always amazing. Service is outstanding. I’m pregnant and eating rare meat like I usually like is off the table, the waiter went over each steak and suggested the best cut for a medium well steak that would still be delicious & it was! If you sit towards the back of the restaurant, the noise level is lower & if you’re in a booth it is very private. The front of the restaurant is very loud if there is a band. I’ve sat in both areas & equally enjoyed myself. Can’t wait to come back! It was my First time here in Nashville and we asked around a great place to go for good steaks ... so happy we did because they recommended Jeff Ruby’s.. we walked in the rain to the restaurant from our hotel and it’s situated back off the street.. First impression was the two men who opened our door .. Looking inside was a very quaint but nice size room with the most beautiful chandeliers hanging from the ceilings. We were lucky enough to have Dominic who bursts with personality with a warm smile, as our waiter. my steak was cooked to perfection and my niece loved her chicken Marsala.. we even saved room for Crem brûlée with extra raspberries .... my mouth is watering thinking about it! !, highly recommend this restaurant! I brought my family of 7 to celebrate my son's Graduation. We were seated immediately and began an incredible culinary journey. The menu was loaded with everything you would expect from a classic steakhouse. We were entertained with live music and enamoured with a star sighting. Overall this was an excellent dining experience but it won't come at a cheap price. Everything was fantastic. The service was right on time everything was just great. Darrell helped us and made sure our dining experience was perfect. Highly recommend. Everything tasted wonderful and the wine selection was amazing. Service was excellent and as always the food was fantastic! Definitely one of the best steaks I have ever tasted!!! First class restaurant!! Highly recommend!! Second time to Nashville, second time to Jeff Ruby’s. The food and service is outstanding! We’ll be back the next time we’re in town. Fantastic. 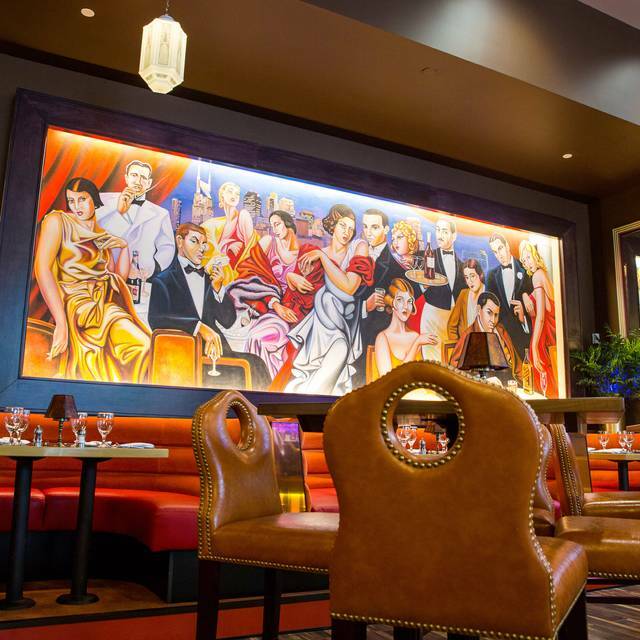 The speakeasy vibe and service is wonderful makes Jeff Ruby’s a very unique experience. We love it! I wish this restaurant was in Kansas City! Great food, atmosphere, and entertainment. Look forward to going back. First time for the wife and I, our service was amazing, the food and drinks well prepared and the music was just the right balance of in your face and accent to the ambiance. Great service, fun environment, but the price/value of the food for the flavor is lacking. That was the consensus of the 3 of us who dined there that night. Always fantastic. The food is excellent, the service is great, and the value is wonderful. Wonderful food, wonderful service, wonderful atmosphere. An absolutely amazing place! I had been once a few years prior and the experience was still just as good! Michael was quick to answer our questions, provided quick service, and was overall very informative! The food was outstanding and the atmosphere so unique. Definitely planning to be back here. Outstanding service and truly made our special occasion feel even more special. This was an excellent choice for us. The place is beautiful, food and service top notch. Super service, attention to detail, and suggestions on modifications to the menu to accommodate individual diet preferences. Our server was inattentive. Had our order incorrect and did not provide the service we would have expected. Our wine was not kept cold without repeated requests and not even delivered to our table without a 20 min wait. Our food tasted delicious, but steak was not medium rare as ordered, no salad came even though it was ordered and one of the three sides was incorrect. We ordered filet and lobster. We could not remove the lobster from the shell. Had to wait and request the server to do so. Our wine was not refilled without our prompt nor our sparkling water. We were given free desserts but that did not make up for the lack of attention. Really enjoyed the bar and piano. One of Nashville's best steak houses which also offers some outstanding sushi and fresh fish options. Sides are plentiful and the wine list is very good. Service was excellent and the kitchen was extremely responsive. Price was on the high side but the food quality supports it. Service was awesome by Brennan. Good always fantastic! Eat the sushi! Get the Wagyu. Best restaurant in the city!